Top seed Marin Cilic survived a scare as he had to fight back from a set down against the 2017 semifinalist Gilles Muller to secure his progression, 4-6 6-3 6-3. Earlier this week, he scored a more comfortable straight set win over Fernando Verdasco to kickstart his grass season, 6-3 6-4. 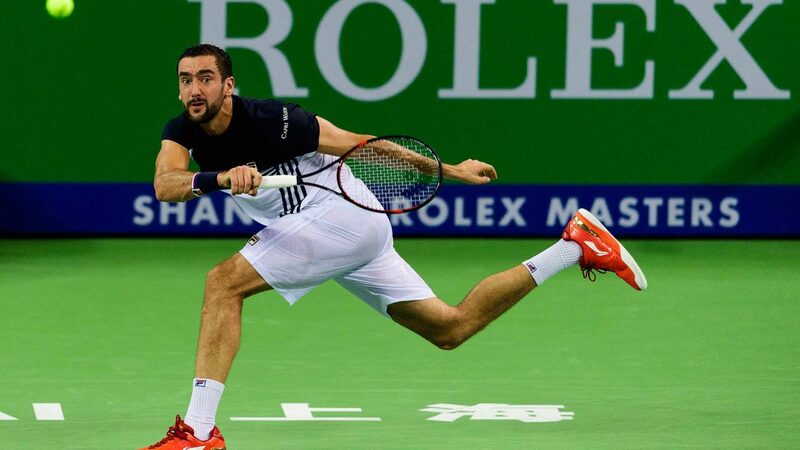 The 2012 ATP London Champion, Marin Cilic, has made at least the semifinal of this tournament in the recent two seasons, and he defeated an American opponent in the quarterfinal on both occasions, Donald Young in 2017 and Steve Johnson in 2016 (meets an American opponent this Friday). World #6 Marin Cilic has reached the quarterfinal in five of the nine tournaments that he has entered so far in 2018 and his record at this stage stands at 3/2. Moreover, he made the quarterfinal of all three grass tournaments that he played last season and managed to win all those matches. After defeating the wildcard entrant Jay Clarke in straight sets (6-3 6-3), Sam Querrey needed three sets to get the better of Stan Wawrinka in the second round, who is lacking match time and fitness at the moment, 7-5 6-7 6-1. This is the first time Sam Querrey has managed to win back-to-back matches since the Indian Wells in March 2018. He made two quarterfinal final appearances earlier this season, defeated a Croatian, Ivo Karlovic, in New York and lost to Milos Raonic in Indian Wells. The big-serving American is also a former champion of this tournament as he lifted this title back in 2010. Last season, he defeated a wildcard entrant in the first round (Cameron Norrie, 6-1 6-4) and needed three sets to win his second round match against Jordan Thompson (7-6 3-6 6-3) but was knocked out by Gilles Muller in the quarterfinal. Marin Cilic won all their previous five meetings with four of them coming on grass (once in ATP London, 2012). The Croatian #1 has been playing better tennis this season and will head it to this clash as the favorite. Considering the way these two players serve, they would probably need a couple of tiebreakers to settle the match.